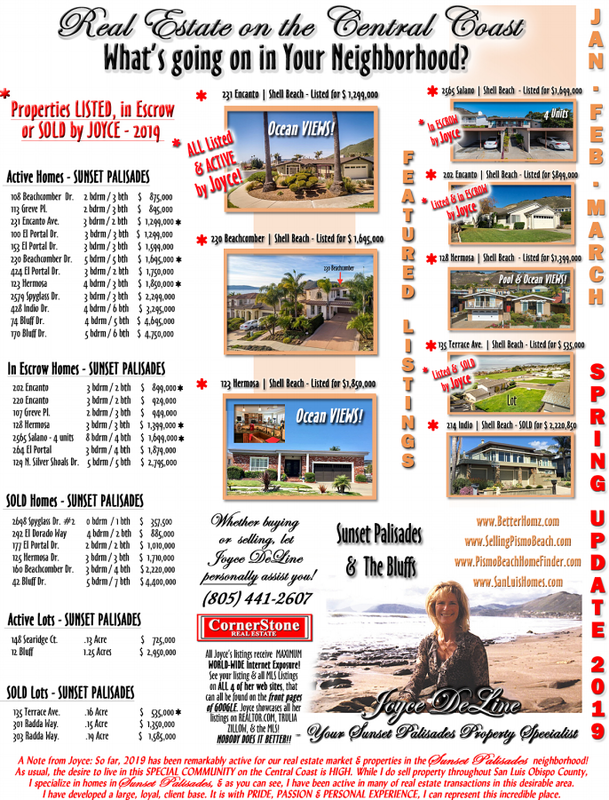 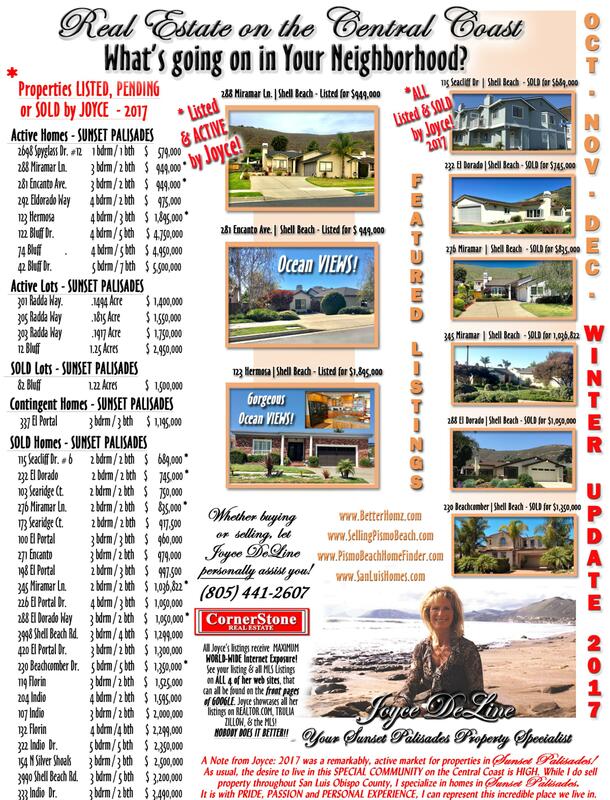 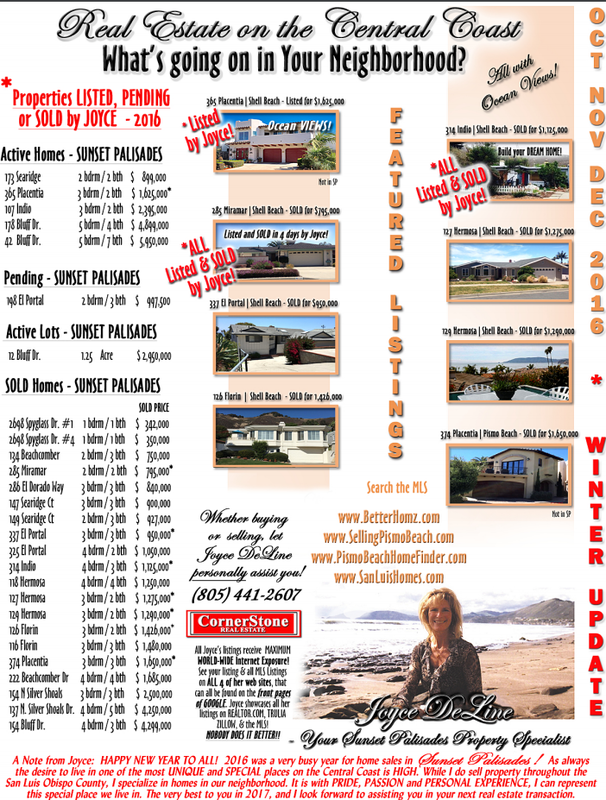 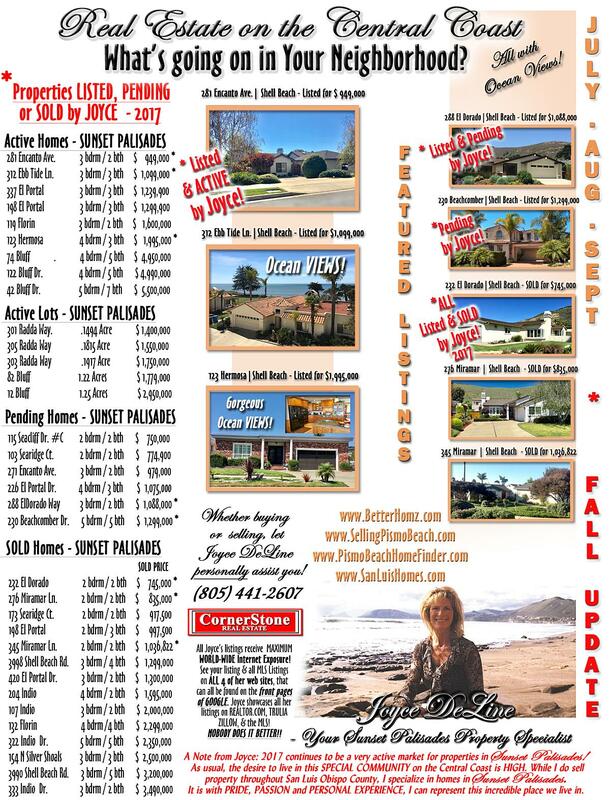 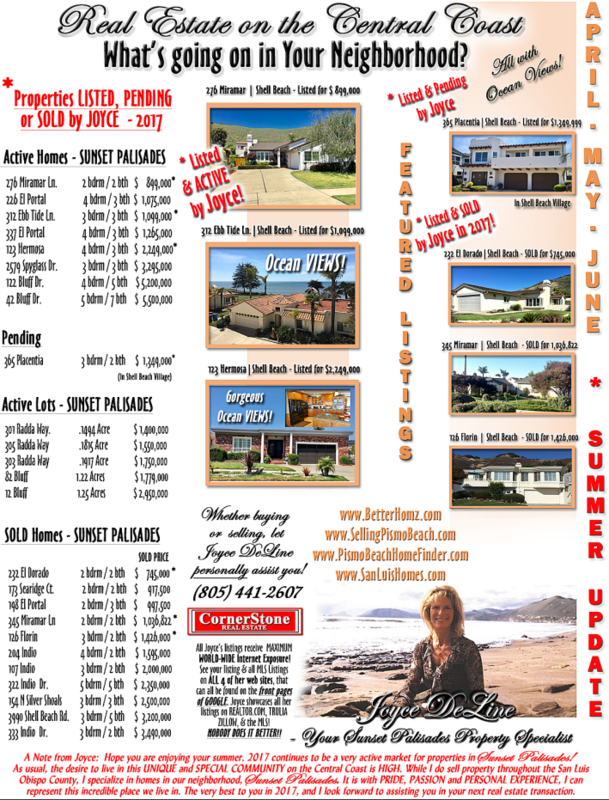 Please take a look at my newsletters put out quarterly to let my clients know what homes are available and what they have sold for in Sunset Palisades and The Bluffs areas in Pismo Beach. 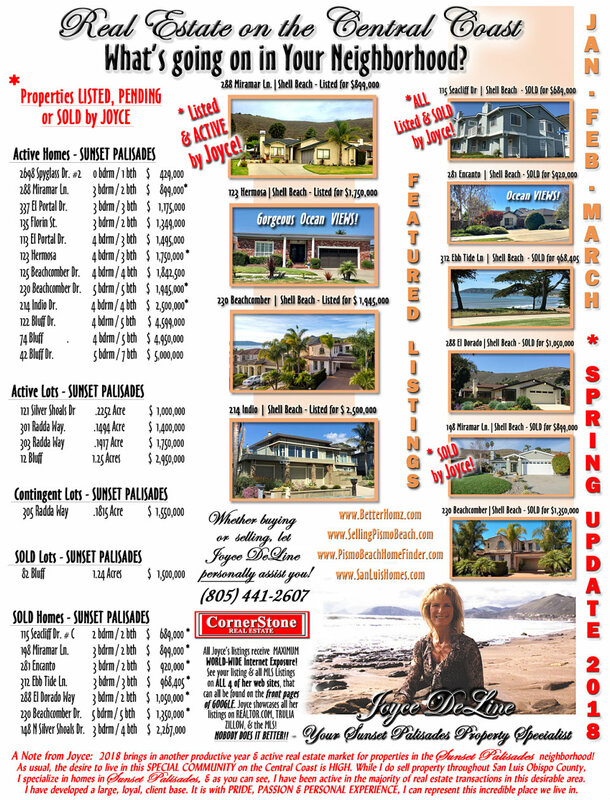 Most of these homes have OCEAN VIEWS, and are in beautiful coastal settings. 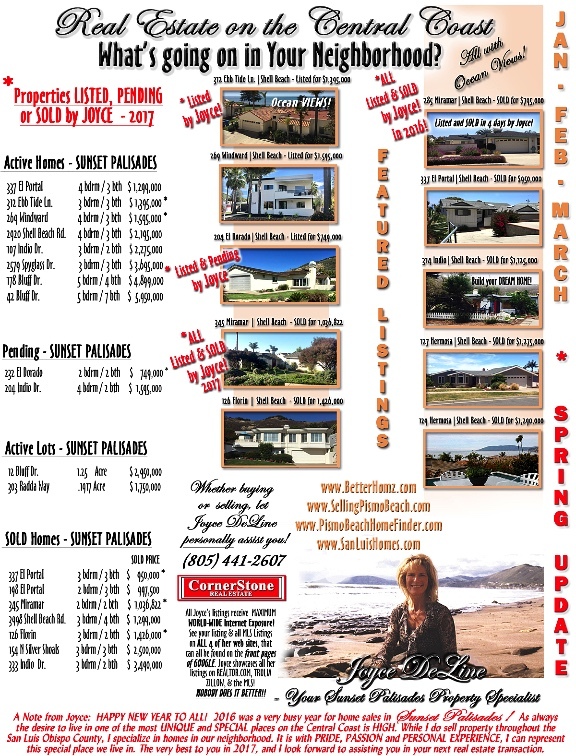 Please note that I am the most active real estate professional, whether listing or selling homes in this pristine oceanfront, Shell Beach \ Pismo Beach area.